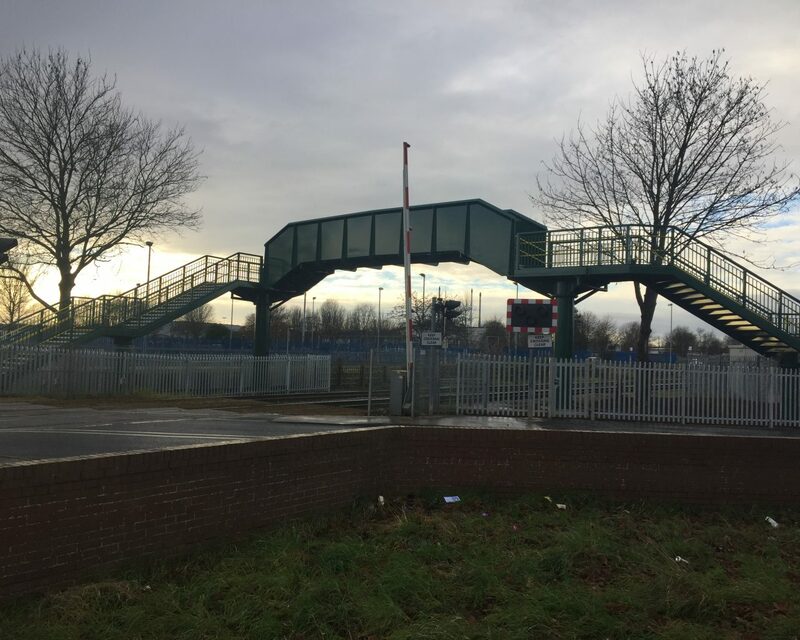 WAG1/46 Womersley Road Footbridge is a single span structure located close to the level crossing on Womersley Road in Knottingley. 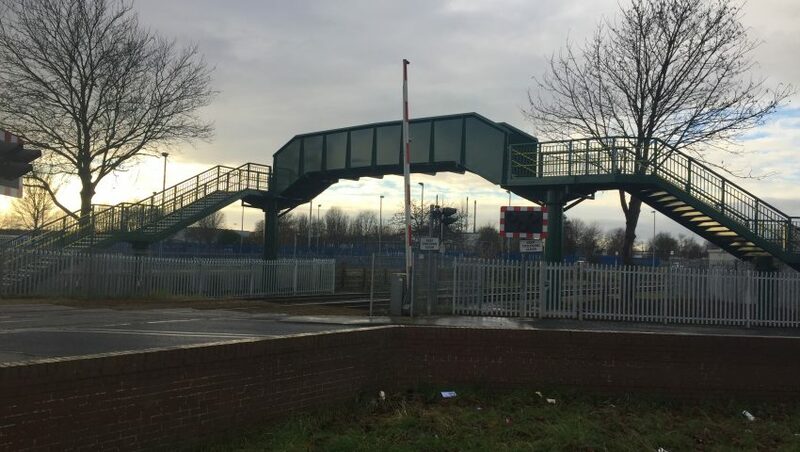 It crosses the Wakefield to Goole Railway line at mileage 59m 0550yds and facilitates a pedestrian access route across the railway, principally when the footpath on the adjacent level crossing is closed to allow the passage of trains. 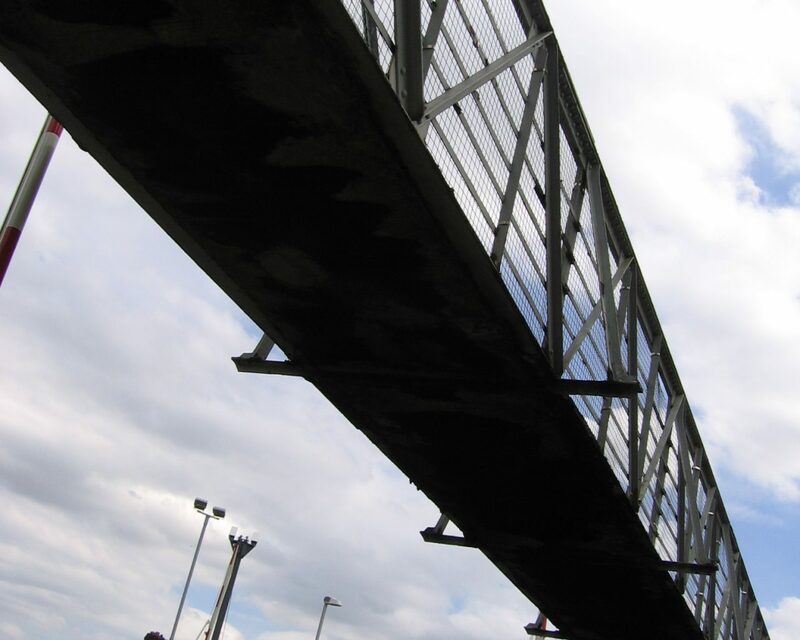 An assessment of the capacity of the footbridge determined that the footbridge was in poor condition, and that is was not capable of carrying the required loading under current standards. 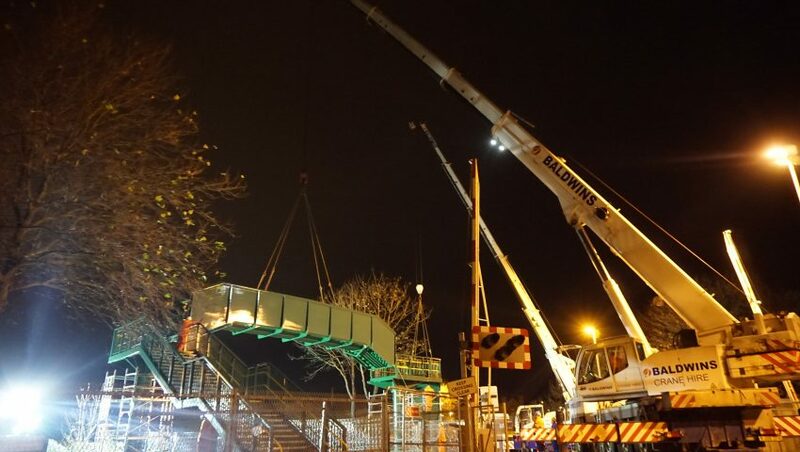 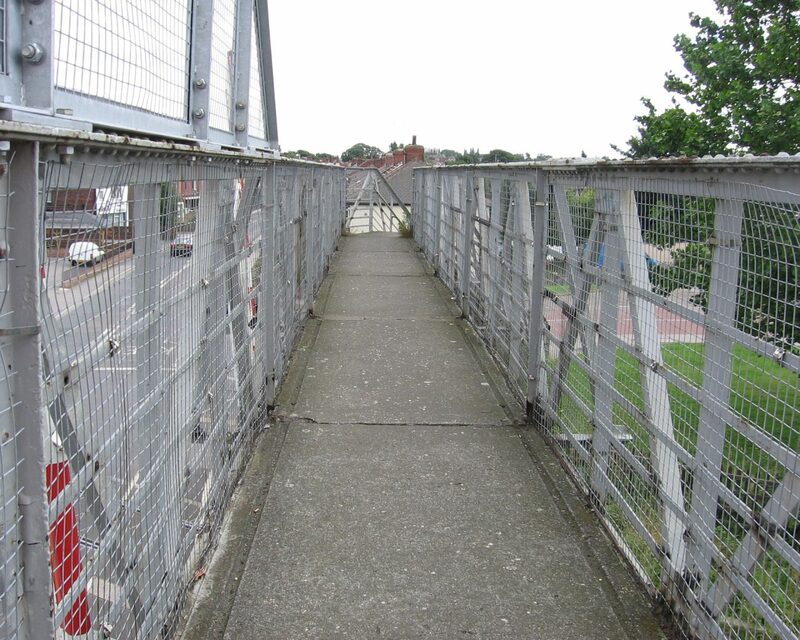 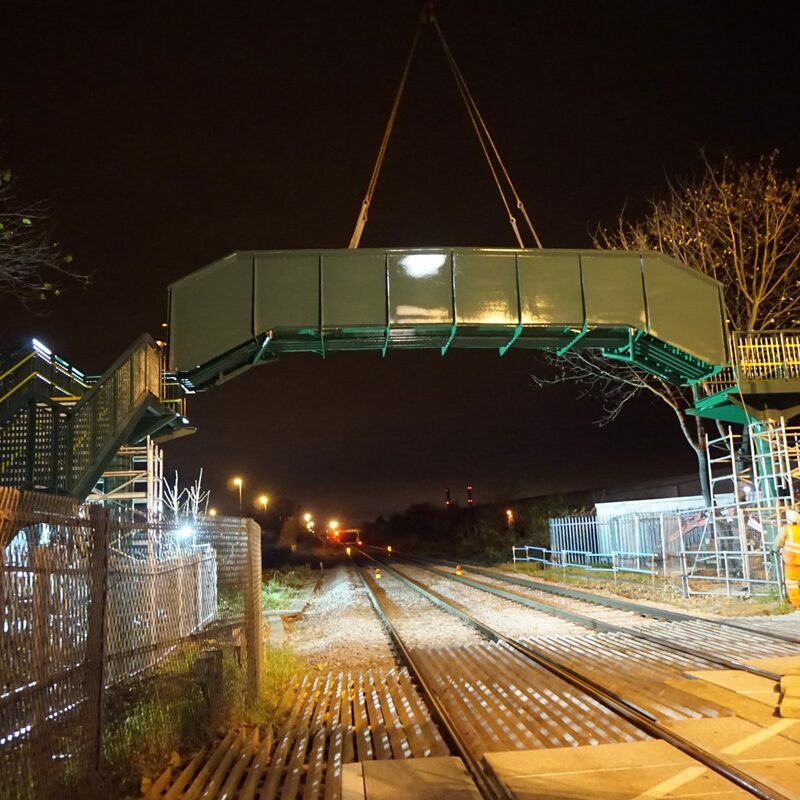 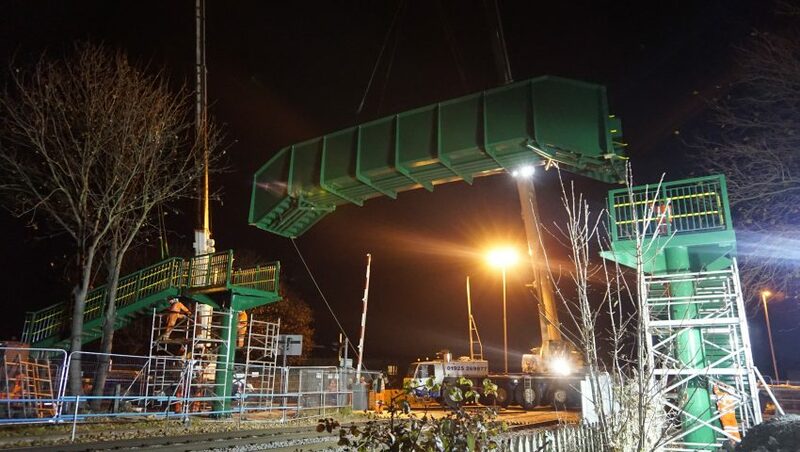 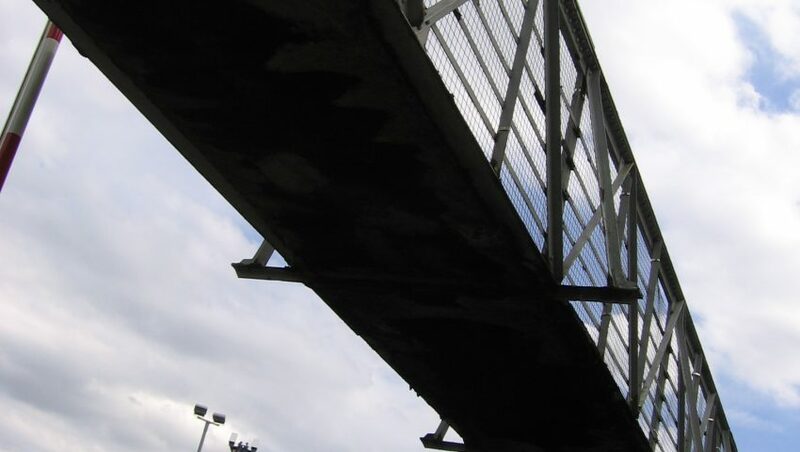 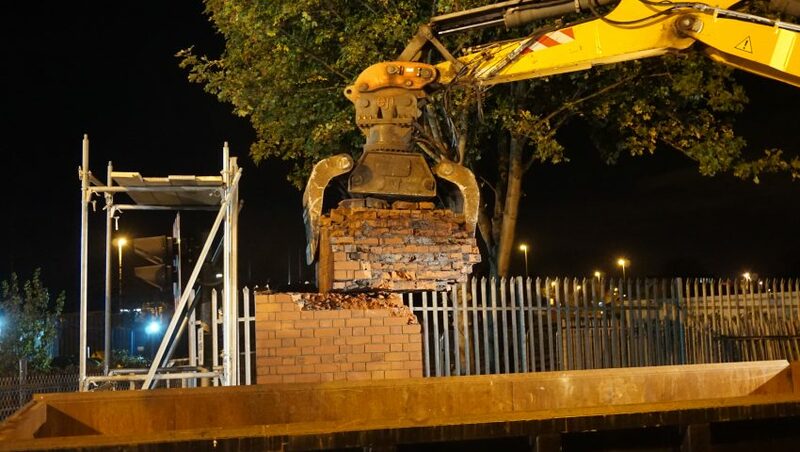 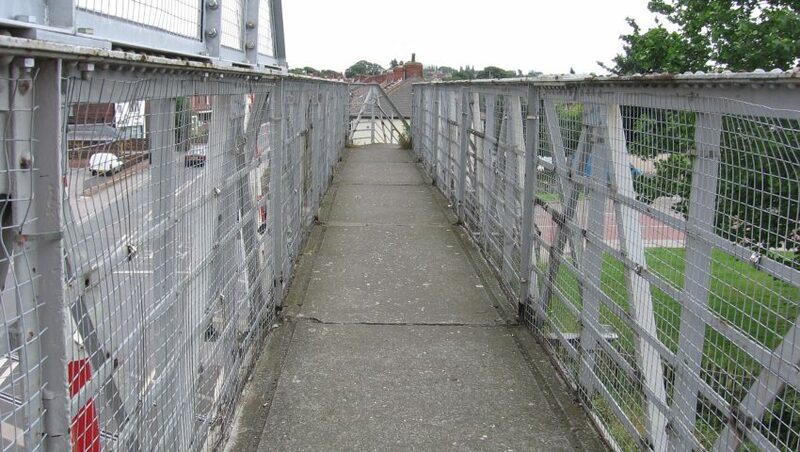 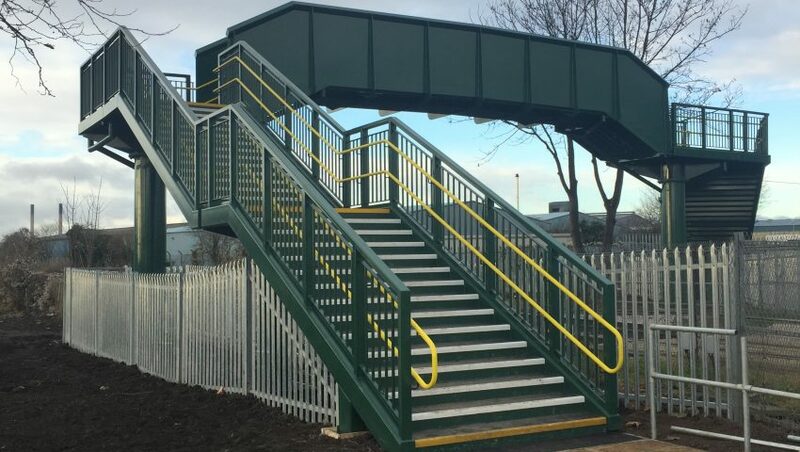 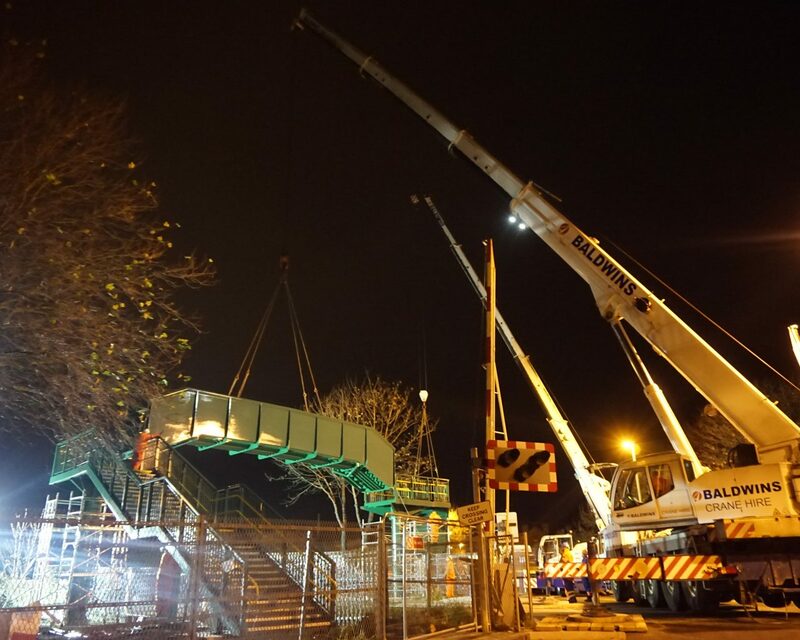 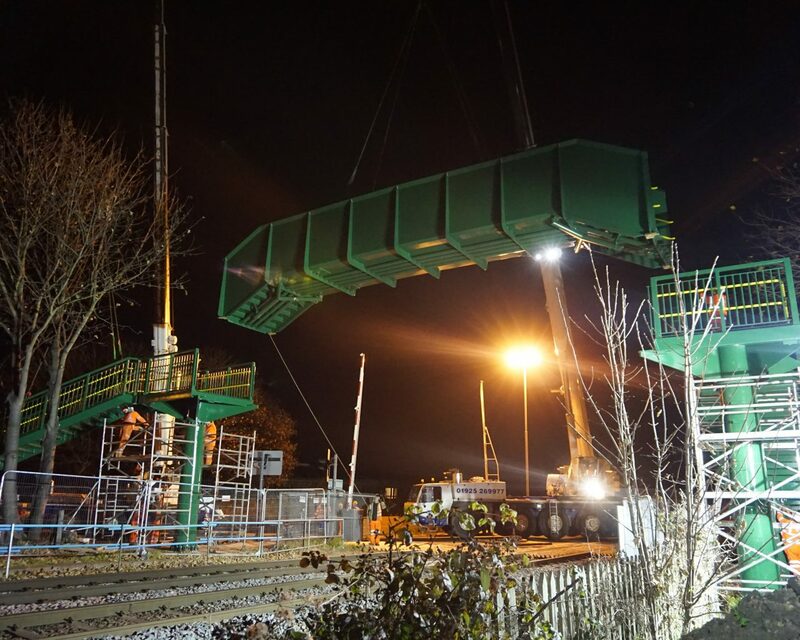 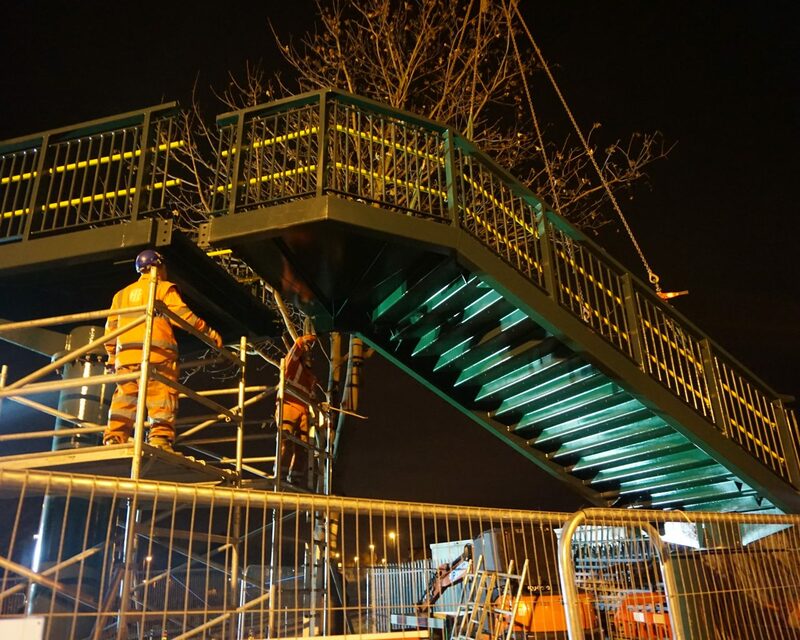 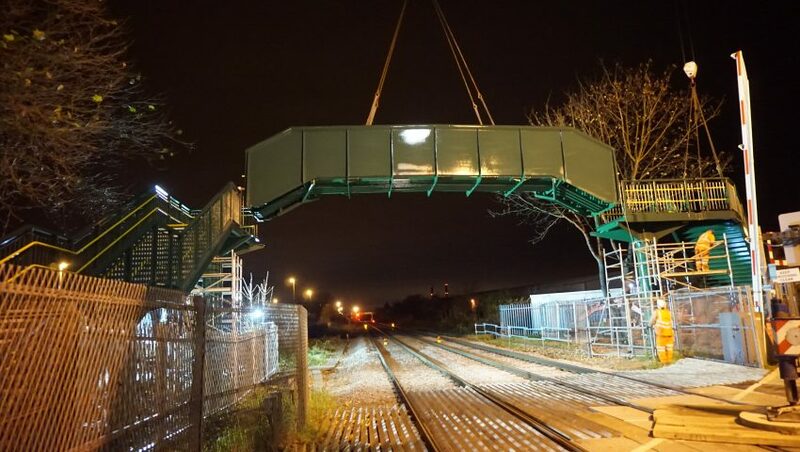 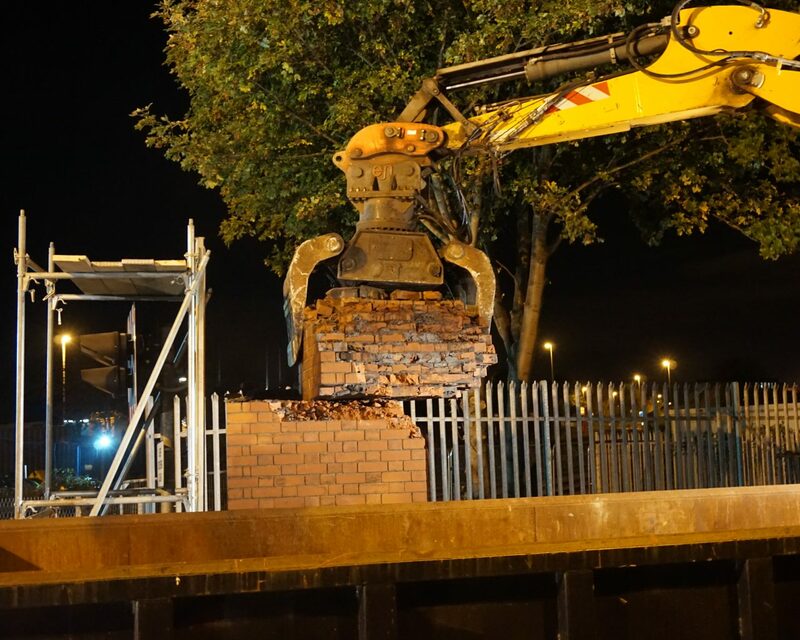 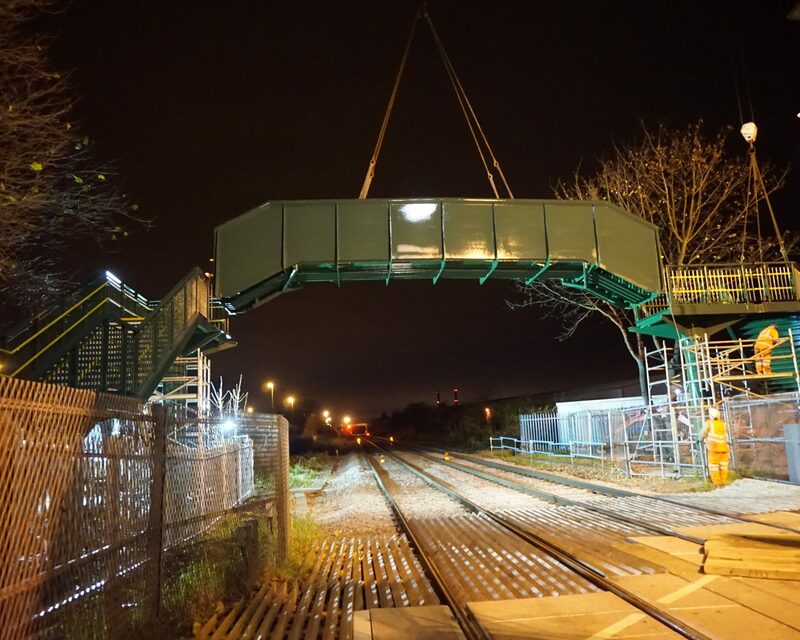 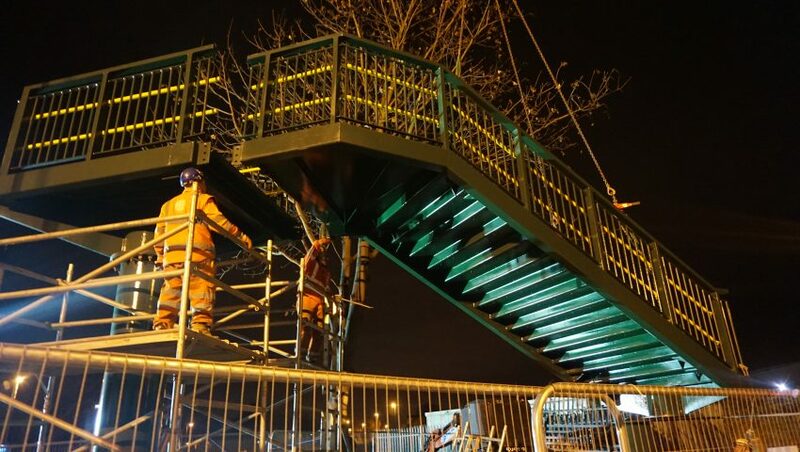 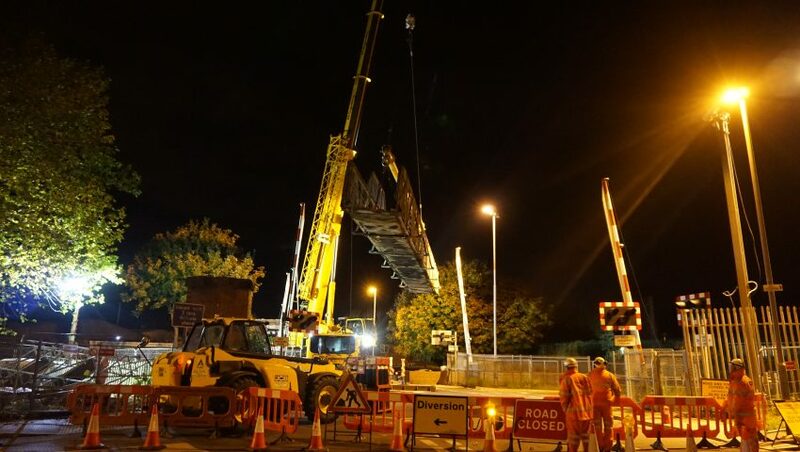 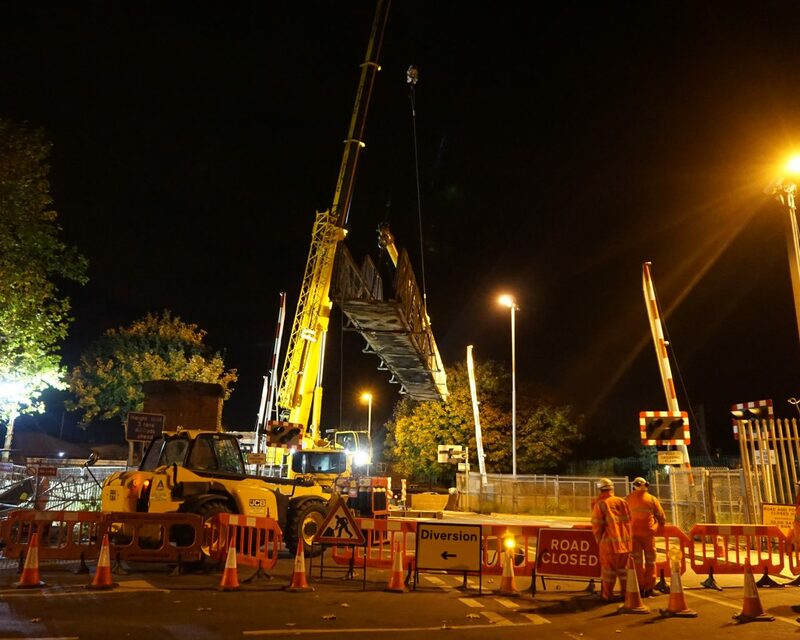 As significant and potentially costly repairs would have been required to retain the existing structure, it was decided that the best value option would be to reconstruct the footbridge. 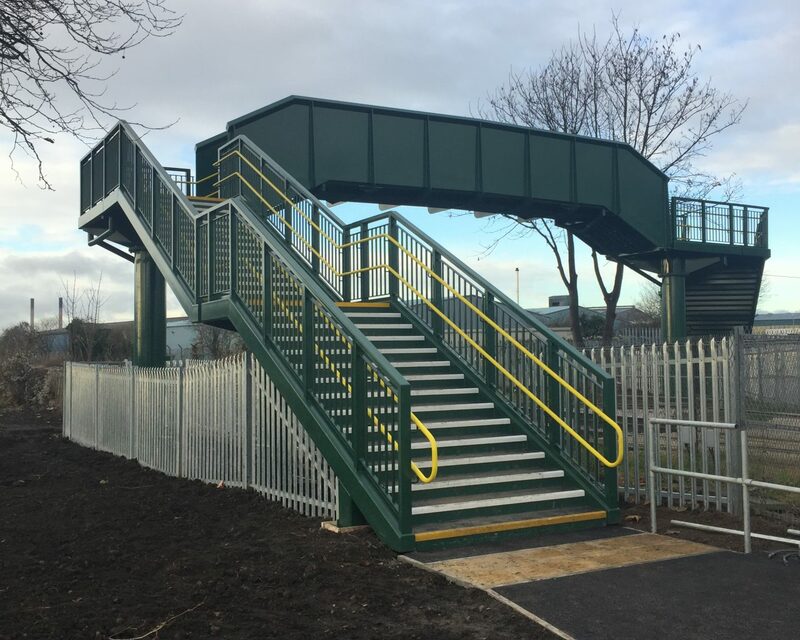 Located approximately 10m to the west of the original bridge, the new structure creates a perpendicular crossing of the railway, and the use of an in-span step arrangement enabled shorter staircases to be used, as well as minimising the overall span and therefore reducing the amount of steelwork required. 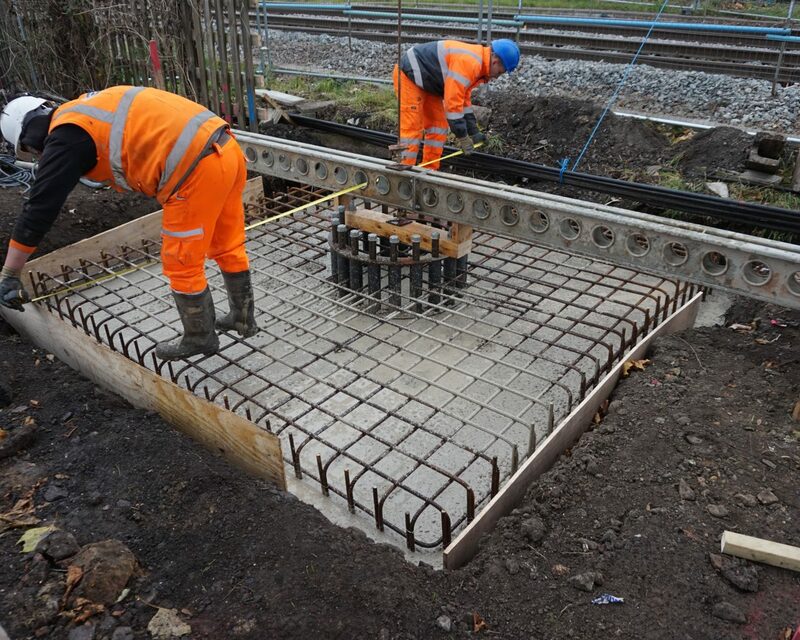 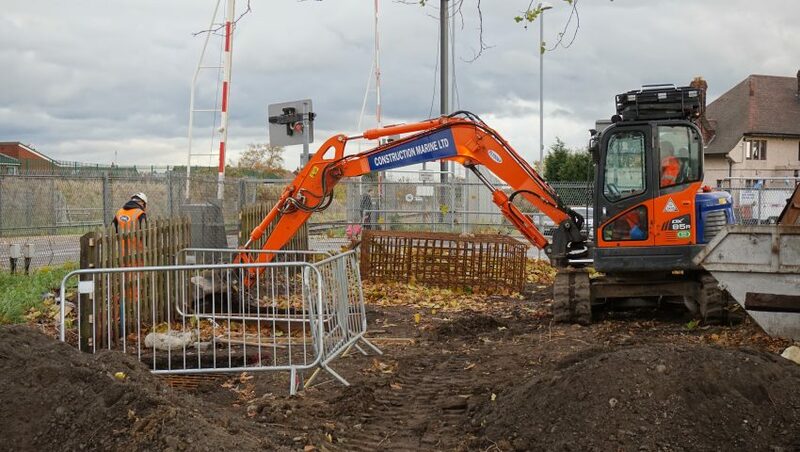 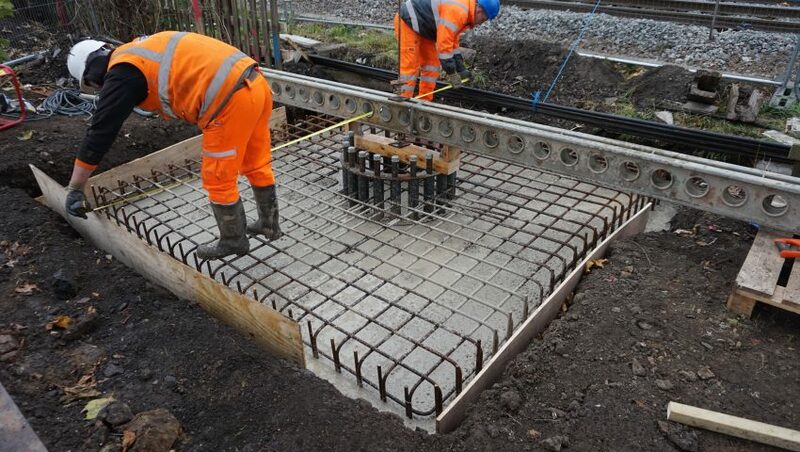 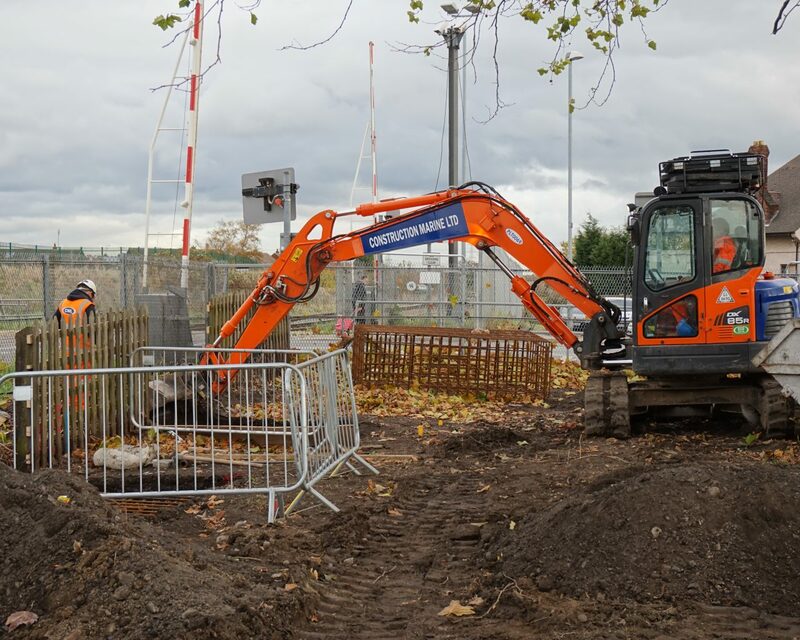 Several challenges were presented with this particular site, including interfaces with two gas mains in close proximity to the column foundations, working in a confined area adjacent to a busy highway, accommodating buried S&T cables and the discovery of a 7m deep well which was located directly under one of the staircase support foundations.